Having a landscape and architectural lighting system installed by Valley Lighting Group ensures that your property will have a landscape lighting system of top-notch design and quality that, with proper care, will last a lifetime. Even with expert installation and a superior outdoor lighting product, we recognize that things happen over time. Landscaping can shift and change, vegetation can grow over fixtures, lenses need to be cleaned, bulbs need to be changed. Valley Lighting Group honors long-term relationships with our clients with the satisfaction of knowing that you are using the best technology available that also remains at optimum performance. 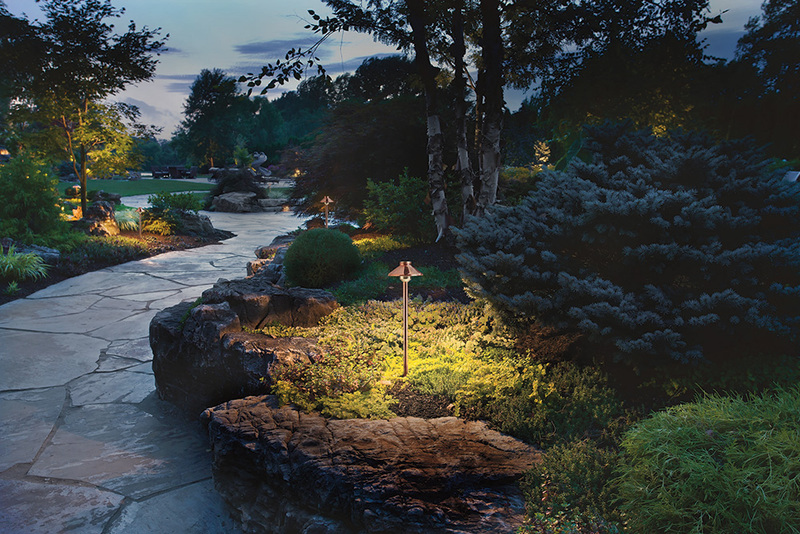 With our industry-leading warranties and System Integrity & Performance Plans, we keep your custom landscape lighting system running perfectly and looking just as it did the day it was installed. With the backing of our national brands, we only use the highest grade materials available for your landscape lighting installation. We've gone to great lengths to ensure the products we use are only the best, with a difference that you'll notice. To follow through with this, all our fixtures and transformers offer a Lifetime Warranty. Are you looking for a hassle-free outdoor lighting installation that will last a lifetime?